Crushed green plantains, topped with ackee and saltfish. Original Jamaican soup packed with healthy vegetables and spices. Fresh picked lettuce, tossed with Caesar dressing, parmesan cheese and croutons. Fish Fillet steamed in a rich coconut sauce, served with market vegetables. Curry Chicken, served in a Rotti Wrap with coleslaw. Sautéed Julienne Strips of Chicken, finished in an Alfredo sauce. 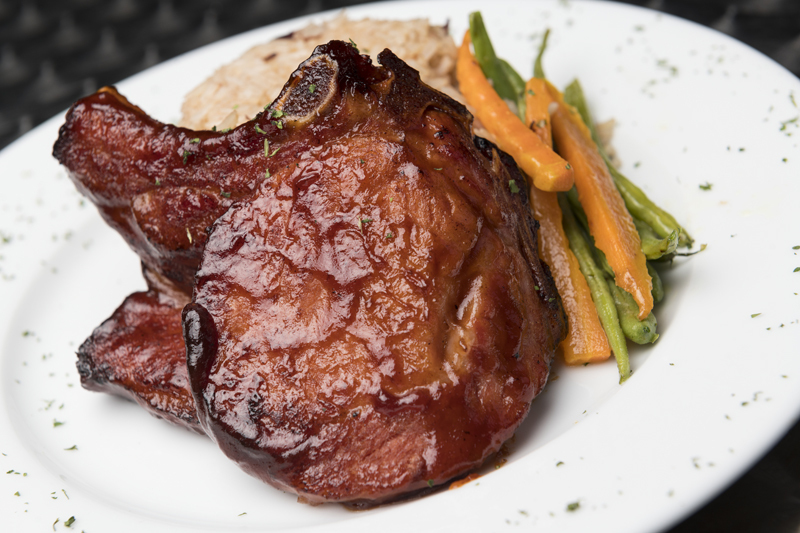 Pork chops served with a coco liquor sauce, rice and peas and market vegetables.